Scotland has a rich and historic culture and heritage with a wide variety of activities to enjoy away from study. 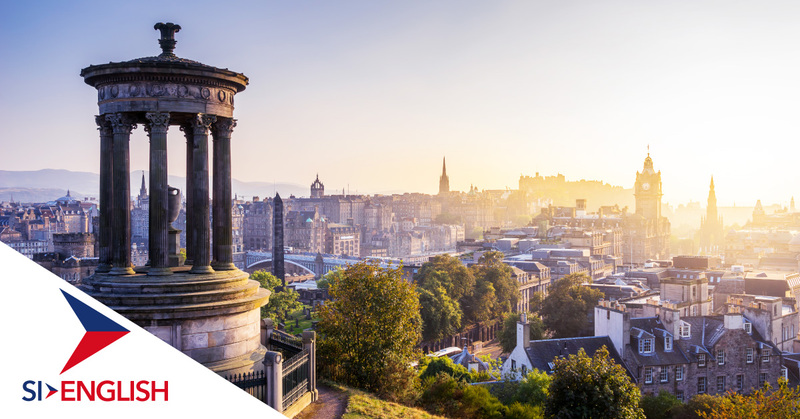 Edinburgh is arguably the jewel in its crown and is a fantastic place for an international student to learn and experience a new culture and city. Are you interested in studying English in Edinburgh? Learn more about what the city has to offer below and apply with our international application experts today. Edinburgh has one of the most famous and eye catching castles in the world. Located atop Castle Rock, it dominates the skyline of the city and is a UNESCO World Heritage Site and home of the Honours of Scotland, Stone of Destiny, Mons Meg and One o'Clock Gun. Arthur’s Seat is located in the hill of Edinburgh and sits over 250m above sea level. It is one of four hill forts which are over 2,000 years old and along with its history, it offers stunning views of the city. A trip to Scotland would not be complete without experiencing the national drink. The Scotch Whiskey Experience is not a working distillery, but an interactive exhibition which represents 90% of the Scotch whiskey industry. Around 300,000 people visit each year, of which 80% are international! Scotland has a rich and colourful history and the National Museum of Scotland in Edinburgh explores it through collections of national and international importance. Scotland is one of the most beautiful places in Europe, and even though you may be living in the city, it does not take long to travel to the countryside and see all the nation has to offer. Long hikes, walks and climbs will ensure you are kept active. The Christmas markets in Edinburgh are famed all over Europe for their size and variety. From buying unique gifts for loved ones from independent traders to enjoying a warm glass of mulled wine, you’ll find plenty of variety, food and fun to enjoy. If you are interested in studying English in Scotland, apply with SI-English today. We can help you apply and guarantee you an offer letter from a school within 24 hours. You can also view a list of all English language schools in the UK.